Philadelphia Eagles quarterback Nick Foles is on another magical run. With a 10-2 record (postseason included) over the last two seasons as the team's starter, Foles has rejuvenated a Philadelphia team that again seemed like they were dead in the water. And lots of those wins have come in very close games. That could arguably be the most impressive thing about Foles' recent run – how he delivers in the clutch. Eagles in one-score games the last two years when Foles finished the game: 8-1. Eagles in one-score games the last two years when Wentz finished the game: 6-6. In nine one-score games over the last two seasons, he owns a remarkable 8-1 record. On the contrary, Carson Wentz has a 6-6 record in such games. ​With all the success Foles is having, it's becoming a legitimate question as to who the Eagles should stick with at QB going forward. Of course, they invested so much draft capital and resources to bring Wentz in a few seasons ago, but how could they ever turn Foles away if he brings another Super Bowl title to Philly? Only time will tell, but the Eagles are going to need all the Foles magic they can get at the Mercedes-Benz Superdome in New Orleans this Sunday in the ​Divisional Round matchup with the Saints. 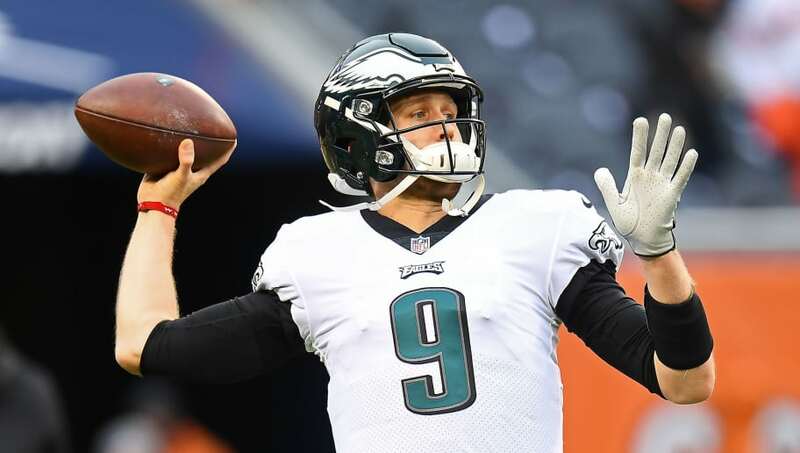 Philadelphia ​opened as 9-point underdogs, according to FanDuel Sportsbook, but no matter the spread, it hasn't mattered when it comes to Foles and Philly winning playoff games.